The rich own a large and growing share of the wealth in the U.S. economy, but more than $20 trillion in assets is held by financial entities that represent a much broader portion of the population: pension funds. According to a recent article in the New York Times, some of these funds, especially public employee funds run by state governments, are becoming woke. 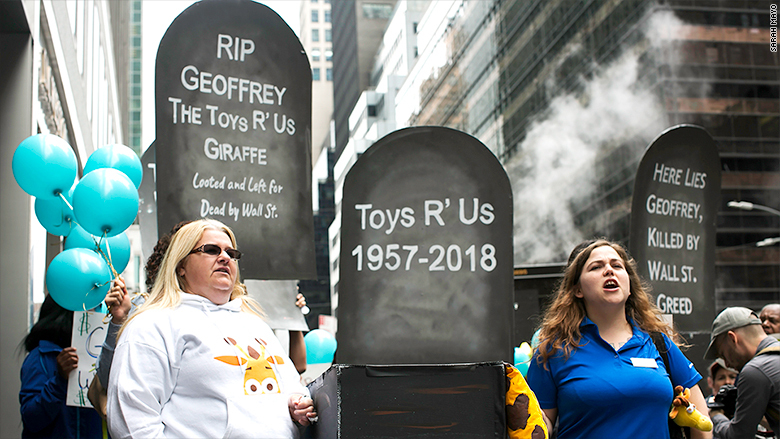 The Times points to the support some funds have been showing for the effort of workers at Toys R Us to get severance pay if the troubled retailer’s private equity owners let it go under. Funds have also been pressuring private equity firms over issues such as foreclosures in Puerto Rico and payday lending. These initiatives are encouraging, but there is one problem: they are about 30 years too late. The recent spurt of pension fund social activism is hardly unprecedented. In the late 1970s, when U.S. big business began an open assault on unions, labor strategists began looking to “pension muscle” as a new device for shifting the balance of power in industrial relations. The idea was to use pension assets as leverage to get corporations to treat workers fairly, while also seeking to use them to invest in projects that would create well-paying jobs for union members. Bringing about the pension revolution was no easy task. First of all, most single-employer plans were firmly controlled by management. Unions had more sway over multi-employer plans, known as Taft-Hartley funds, in industries such as construction. Yet even the latter were restricted by efforts of the Reagan Administration Labor Department to label targeted or social investments as violations of the fiduciary duties of plan trustees. Unions did manage to mobilize pension power in some campaigns, including those targeting J.P. Stevens, Phelps-Dodge and Louisiana-Pacific, but it never amounted to anything close to the revolution envisioned by Rifkin and Barber. Some money was directed to labor-friendly investments, but for the most part, unions used their influence over pensions mainly to promote reforms in corporate governance that often had a limited relationship to workplace conditions. The same was true for public pension funds. A few such as California’s CALPERS took some social initiatives but most state funds were no more activist than mainstream asset managers such as Fidelity Investments. We can hope that the recent revival of pension fund social activism is more than an anomaly, but one can’t help wonder how different the economy would be if it had not been postponed for so many years. Note: This piece draws from an article of mine entitled “Labor’s Lost Lever” published in the May 1988 issue of The Progressive. For a speech that was supposed to focus on the plight of low-wage workers, President Obama’s State of the Union contained a surprising number of favorable references to specific large corporations. I counted seven plugs — for Apple, Costco, Ford, Google, Microsoft, Sprint and Verizon. The Ford mention, which alluded to “the best-selling truck in America,” sounded like a high-level product placement. Most of these companies were cited for their supposed acts of corporate virtue, such as the role of the telecoms in helping to bring high-speed broadband to schools. There’s something else these firms have in common: they’ve all been recipients of substantial economic development subsidies from state and local governments. My colleagues and I at Good Jobs First issued two reports this week that take a critical stance toward these types of financial aid to business. In one of the reports, Putting State Pension Costs in Context, we look at how the revenue loss from subsidies and corporate tax breaks and loopholes compare to the cost of public employee pensions in ten states where those retirement benefits have been under attack. We find that in every one of the states the corporate giveaways far outweigh the current costs of providing pensions to state workers. In the case of Louisiana, for example, the giveaways are more than five times the retirement costs. State legislators and governors have a tendency these days to get frantic about pension costs. Our research suggest that they should be more concerned about the larger revenue losses stemming from what are often ineffective “incentives” given to business. The other report, Show Us the Subsidized Jobs, is the latest in our series of surveys on the performance of state governments in disclosing online which companies are getting financial assistance and what they are doing with it, especially in relation to job creation. There are two main messages that emerge from the study. First is the fact that there is now at least some online recipient disclosure in all but a handful of states. The number has doubled since we did the first of these surveys in 2007. That’s the good news. The other message is not so encouraging: There are vast discrepancies in the depth and the quality of the disclosure. Some states such as Michigan and North Carolina provide reasonably good disclosure for all their major programs, while others such as Nevada and South Carolina provide bare-bones disclosure — meaning company names only — for only one key program. In many cases no information is reported on the number of jobs subsidized companies are creating or the wages being paid. To enable detailed comparisons of programs, we rate them on a scale of 0 to 100. Points are given for providing details on subsidy amounts, on job and wage outcomes, and on the inclusion of key information about subsidized projects and companies. We also rate programs on how easy it is to find and use the data. Based on this system, the states with the best average scores for their key programs are Illinois, Michigan and North Carolina. Being best in relative terms does not mean that the absolute scores are very impressive. Top-ranking Illinois has an average of only 65 and Michigan comes in at 58. Every other state has an average below 50 percent. The average program score is only 21 (or 39 if you leave out those with no disclosure at all). Only seven programs score 75 or above. These scores are so low mainly because so many programs fail to provide good reporting on outcomes, which account for a large portion of the points in our scoring system. Fewer than half of the 246 programs we examine include any reporting on jobs or wages in subsidized companies. And many of those that do provide only projections rather than the actual amounts. Less than one-tenth of the programs provide actual amounts for both jobs and wages. In the report we emphasize that transparency does not equal effectiveness or complete accountability. A program can disclose all the essential details but still be a waste of taxpayer money. Transparency is what allows the public to determine when that is the case. Our interest in disclosure is not only for abstract reasons of accountability. If states put more information online, there were will more for us to capture for our Subsidy Tracker database, a national search engine covering more than 500 programs. Next month we will introduce Subsidy Tracker 2.0. Along with the raw data, we will add information on the parent company of the recipient firms. This will make it possible to see at a glance how much large companies such as the seven cited above have received across the country. The Dirt Diggers Digest will provide wall-to-wall coverage. There was once a time when a bankruptcy filing by a company was a mark of shame. That stigma has fallen by the wayside, and firms now employ Chapter 11 not to protect themselves against creditors but for strategic purposes. Such union-busting bankruptcies are far from new. They were pioneered three decades ago by the likes of ruthless airline executive Frank Lorenzo, who used Chapter 11 to abrogate union contracts after taking over Continental Airlines in 1983. Six years later he tried something similar at Eastern Airlines, but changes in the law forced him to settle for weakening the unions rather than eliminating them altogether. Subsequently, most of the other major carriers (and various smaller ones) also went through the bankruptcy process. Airline management has made the most of the system. In 2006 a federal bankruptcy court barred unions at regional carrier Mesaba Airlines from engaging in strikes or other job actions, prompting the company’s unions to agree to management’s wage-cutting demands. In 2008 a bankruptcy judge gave Frontier Airlines permission to cancel its collective bargaining agreement with the Teamsters, but that decision was later overruled in federal district court. The union, nonetheless, had to make contract concessions, as have workers at other carriers and in other industries. It remains to be seen how far AMR will go in using the bankruptcy process against its unions. 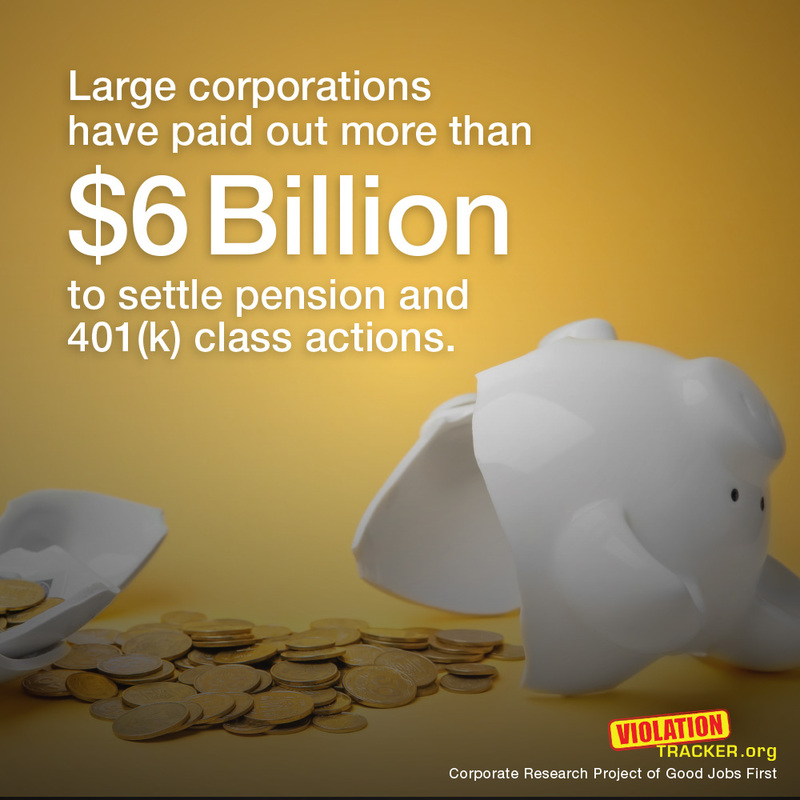 Yet there is little doubt that it will seek to slash labor costs, especially those relating to pensions. The head of the federal Pension Benefit Guaranty Corporation has already expressed concern that AMR might terminate its plans—the way United Air Lines did during its stint in Chapter 11. This would put an enormous strain on the PBGC, which has already amassed a deficit of $26 billion and would have difficulty providing significant payments to the tens of thousands of people covered by AMR’s pension plans. There is good reason for AMR’s unions to be concerned about management’s intentions. AMR’S crusade against labor began three decades ago, when Robert Crandall took control of the company in the early days of airline industry deregulation. Apparently inspired by Reagan’s crushing of the air controllers strike, he was determined to get workers to bear the financial consequences of increased competition. In the early 1980s AMR was one of the country’s first major employers to adopt the pernicious practice of two-tier wages. Crandall pressured unionized pilots to accept a contract that cut the pay of new hires by a whopping 50 percent; for flight attendants the reduction was more than 30 percent, making many of them eligible for food stamps. The moves transferred $100 million a year from paychecks to company coffers. AMR also pioneered the practice of high-tech offshore outsourcing in 1983 when it set up a subsidiary in Barbados called Caribbean Data Services. The company began air-shipping tons of used ticket coupons to the facility, where operators (mostly women) paid $1.75 to $3 an hour entered the information on computer terminals and then transmitted it via satellite to the airline’s accounting center in Tulsa, Oklahoma. By 1985 the operation was successful enough in cutting costs that American shut down its data-entry operation in Tulsa. When unions began to challenge the two-tier system in the late 1980s, AMR sued them for supposed violations of federal labor law, fired activists and threatened to shut down the airline. Eventually, Crandall had to accept a softening of the two-tier arrangement, but he pursued a relentless campaign against labor costs which prompted a 1993 strike by flight attendants that ended only when President Clinton personally intervened. Four years later, Clinton intervened again when American’s pilots walked out to protest the company’s rigid bargaining position. Crandall’s successor, Donald Carty, continued the company’s confrontational labor relations posture. In 2003 he used the threat of bankruptcy to wring $1.8 billion in annual concessions from AMR’s unions. While those negotiations were taking place, AMR management failed to mention that it was simultaneously offering lucrative retention bonuses and special pension protections to top executives at the company. When the plan came to light, the uproar was so intense that AMR’s board ousted Carty and—for a while—adopted a less aggressive posture toward the unions. With the bankruptcy filing, the company appears to be returning to its savage ways. When Occupy protesters or others talk about income inequality, conservatives complain that this is class warfare. The real class war is that being waged by corporations against decent wages and benefits, using the bankruptcy courts as one of their most effective weapons. What makes this all the more galling is that severe restrictions have been placed on the ability of struggling individuals—including young people overwhelmed by student loan debt—to use the bankruptcy system to gain relief. Here, as in so many other areas, corporate “persons” have been given the upper hand over real people.